Congratulations! 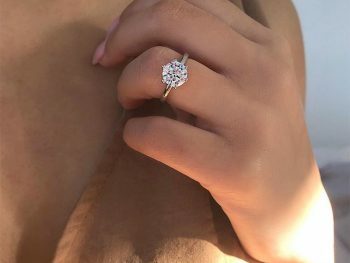 You’re getting married, and now you have to make a huge decision, one that you will have to live with for a long, long time: What kind of engagement ring should you get? 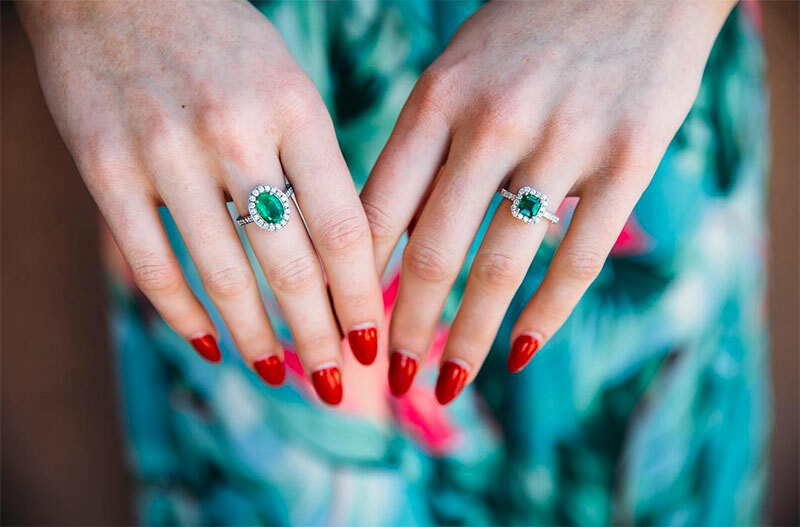 Emerald engagement rings are becoming the choice of more and more brides these days, and you may have been thinking along those lines also. What do you need to know about them before you decide? 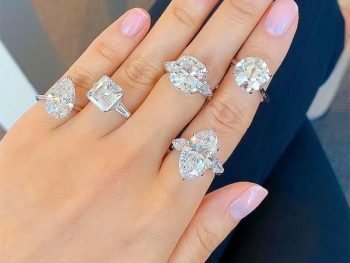 Unique and Elegant Emerald Engagement Rings. 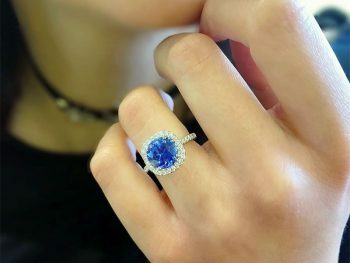 Emerald engagement rings, as well as other colored gemstone engagement rings, started becoming more and more popular after the late Princess Diana received a breathtaking sapphire and diamond engagement ring from Prince Charles in the early 1980’s. 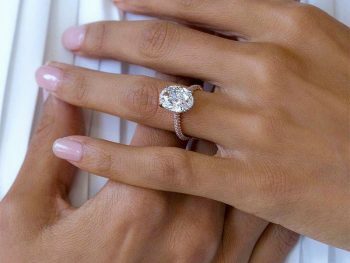 Diamond is still far and away the most popular choice for engagement rings though, so if you want to have a ring that is beautifully unique and not like anyone else’s, an emerald ring would be a perfect choice. Where to buy emerald cut engagement rings. Emeralds are a very hard gemstone. They rate between a 7.5 to an 8 on the Mohs scale. This is good, but one characteristic of emeralds makes it almost a moot point. That characteristic is that all natural emeralds contain inclusions or tiny specks of material that became encased in the emerald as it formed. Those inclusions make emeralds prone to cracking and breaking. The famous rectangular “emerald cut” with large facets was developed to minimize cracking and breakage of emeralds. Many emeralds are not cut in this manner; however, so care should always be taken with any emerald jewelry not to subject it to rough treatment. 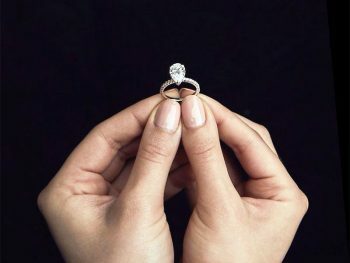 It would be advisable to remove an emerald engagement ring whenever you do housework, play sports, or work in any environment where your ring could be hit by a hard object. 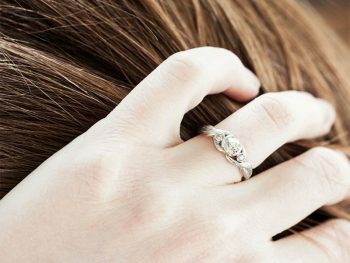 Along with removing an emerald engagement ring when you work and play, you should know how to clean and store it the right way. Most natural emeralds are treated with oils that penetrate the stone and help seal cracks between the inclusions. This oil helps the stone look clearer and brighter, also. Any harsh chemicals will strip this oil from the emerald, leaving it dull looking and more prone to cracks. Always clean emerald engagement rings with mild soap and water only, using a small brush to get into crevices of the piece. Don’t let it soak for more than a minute or so. 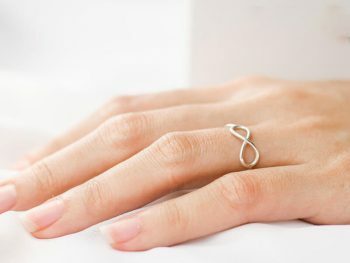 Dry your ring with a soft cloth. NEVER place any emerald in an ultrasonic jewelry cleaning machine. The vibrations will almost certainly cause your emerald to crack. 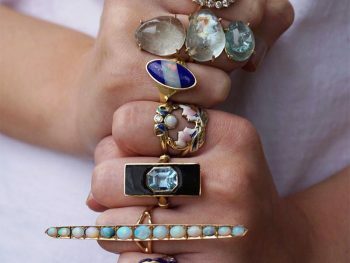 If you are going to store it for any length of time, place it in a soft velvet or cotton bag in your jewelry box or a safe place where it won’t be knocked about. For quick removals to do housework, etc., keep a small glass dish on your dresser where it will be safe until you put it on again. Emeralds are one of the 4 gemstones classified as “precious gemstones”. 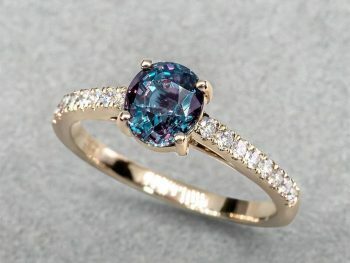 All precious gemstones are rated by their color, clarity, carat weight and cut when they are priced. An emerald’s color is the most important factor in deciding the value of it. A vivid, medium green emerald is the most valuable. Lighter green emeralds and darker green emeralds are less valuable, but also make beautiful jewelry. A small emerald with the beautiful vivid medium green coloring will cost more than a darker/lighter large emerald. It isn’t out of the question to pay over 5 figures ($10,000) or more for a top quality emerald. 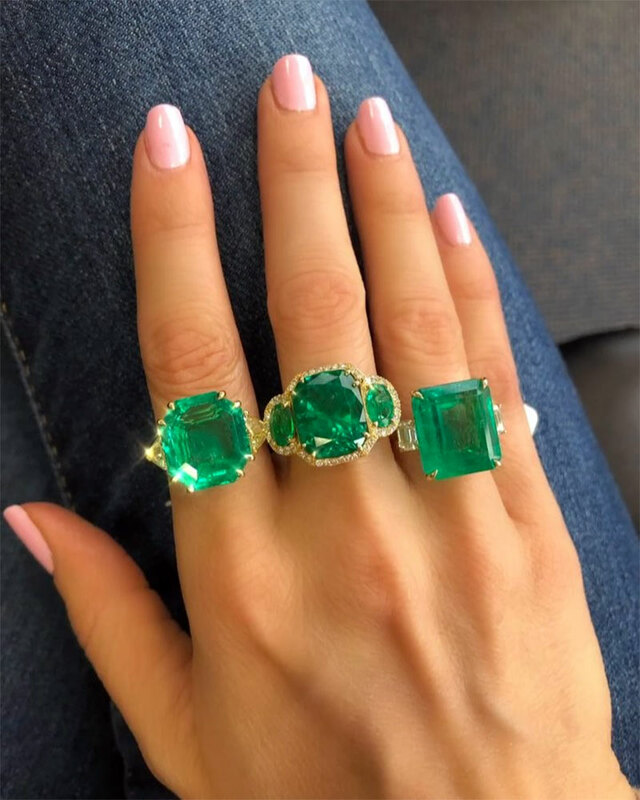 Thankfully, there are many emeralds on the market that may have a slightly lighter or darker color that are still stunningly beautiful and will cost less than $1000 . 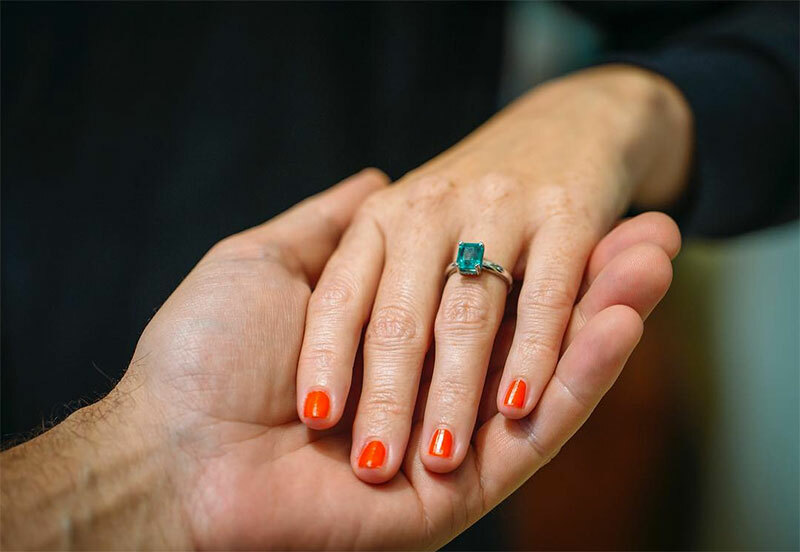 Another option for budget-conscious emerald and diamond engagement ring shoppers would be to by a synthetic emerald or a simulated emerald cubic zirconia ring. 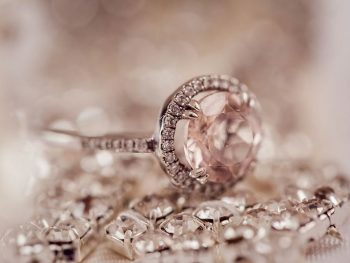 The only way you will know what you are actually buying is to ask to see the certificate for the stone you want to buy. All natural emeralds and precious gemstones should have a gemological certificate accompanying them, and if your salesperson won’t show it to you, then you should go elsewhere. Be very careful when buying antique emerald engagement rings, because very often the original certificate will not accompany them. 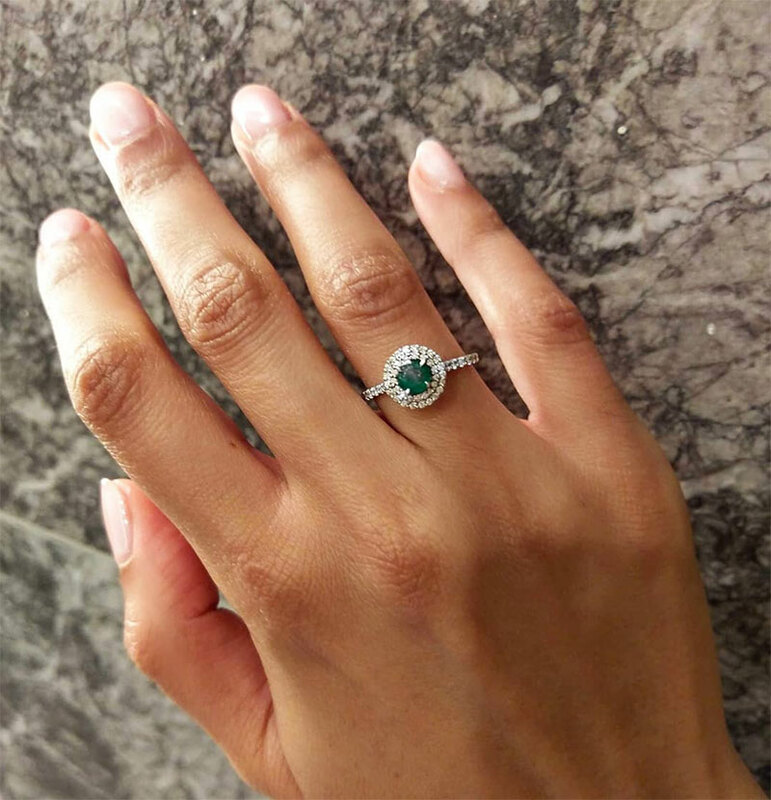 Just be sure to have it appraised after you purchase it, and that the store you buy from has a return policy in case it turns out you bought a “fake”, when you really wanted a natural emerald. You can be sure you will have a unique and personal ring that no one else has if you get an emerald engagement ring! They are versatile and look beautiful with emerald earrings and diamond stud earrings. It will last for years if you take care of it, and will most likely be one of those precious family heirlooms you can pass on to your children one day. If you love emeralds, I say go for it!